We love it when we get approached by deeply passionate people. For people like that, business is more than just a way to make money, it's a way of life. 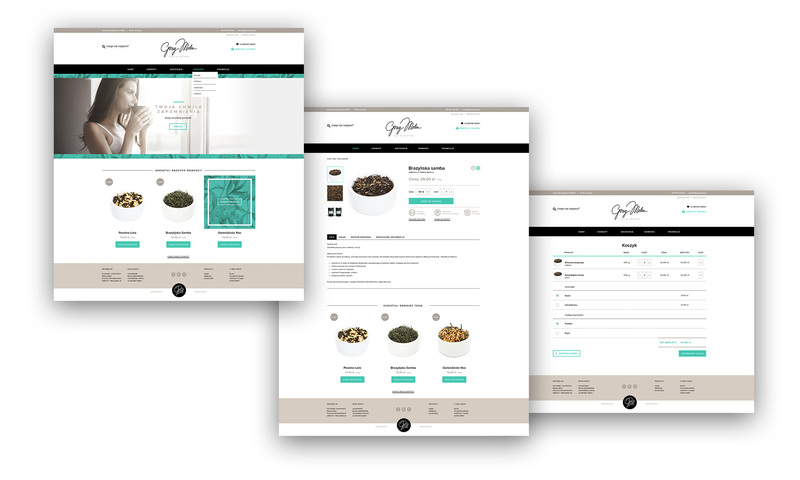 In this case, our mission was to launch a new brand for a specialty tea and coffee store. We went the whole nine yards here—from coming up with a new name through designing the logo, the key visual, the packaging, and online store layouts, up to launching a dedicated Google AdWords campaign. Each stage presented us with its own distinct set of challenges, but the delicious coffee gave us strength and the tea kept us inspired. We began with the naming process. Looking for a new brand name is always exciting. Sipping on our morning coffees and teas, at one point we decided to check out how a fusion of popular coffee and tea names would work—after much deliberation we settled on Earl Grey and mocha. Then we simplified the spelling to make it easier to read. Plus, both names imply a color—gray and beige, which in turn gave us one of the brand colors. The client was very fond of our concept, and we got the go-ahead to move on to the next stage. The selected name inadvertently sounds like the name of a woman and, as luck would have it, it became a sort of moniker for the female owner of the store we were working for. So we ultimately decided that using cursive is the only way to go—and the result is a delicate, highly unique logotype. 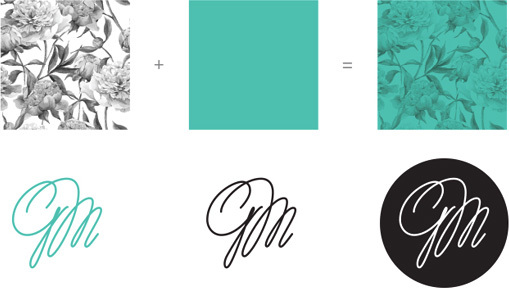 The idea for the floral motif as an additional element of the brand’s visual identity was conceived very organically. We all either know or have floral-patterned china or festive linens that go perfectly with a cup of tea and a slice of cake. 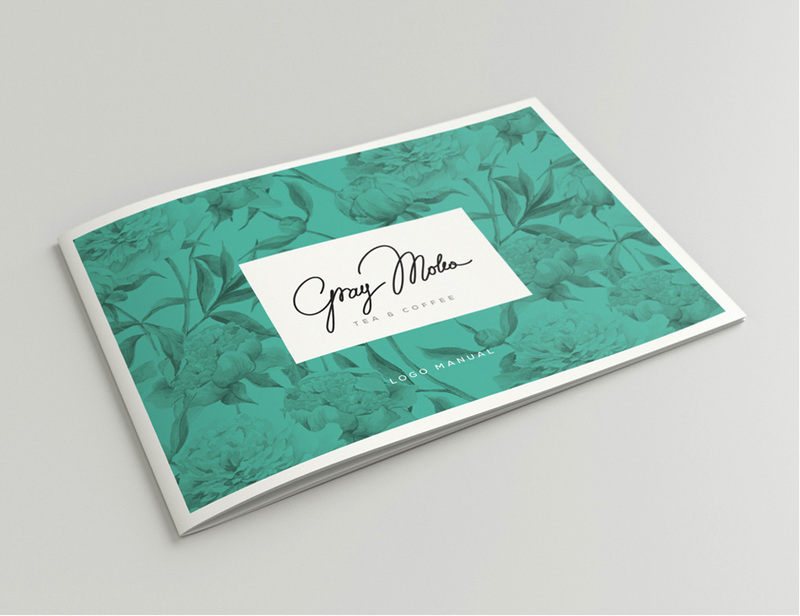 To make the pattern more modern and fresh, we overlaid it with the brand owner’s favorite color. The monogram, on the other hand, will be perfect as a stamp, sticker, or a subtle way to sign a photograph or a blog post. Sometimes, new clients don’t really appreciate the seriousness of the situation and commission “just the logo.” A decision like this, however, often impacts subsequent stages of these projects—without a comprehensive brand book, we don’t have rules on logo usage, color usage, and allowed alterations. That wasn’t the case with Gray Moka, however. We developed an exhaustive brand book for the company which then allowed us to comfortably move on to designing packaging and the website layout. 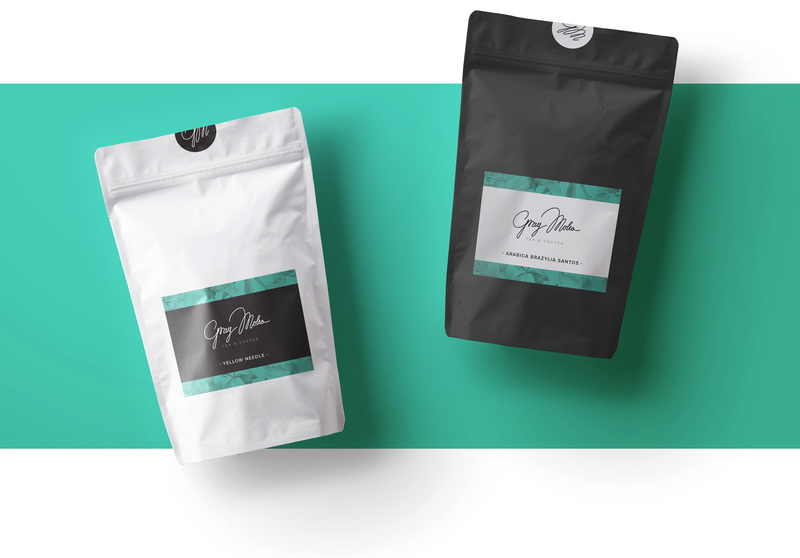 To distinguish between coffee and tea, we chose separate colors for the packaging of each—black for coffee, white for tea. That, in turn, drove the label color choices. 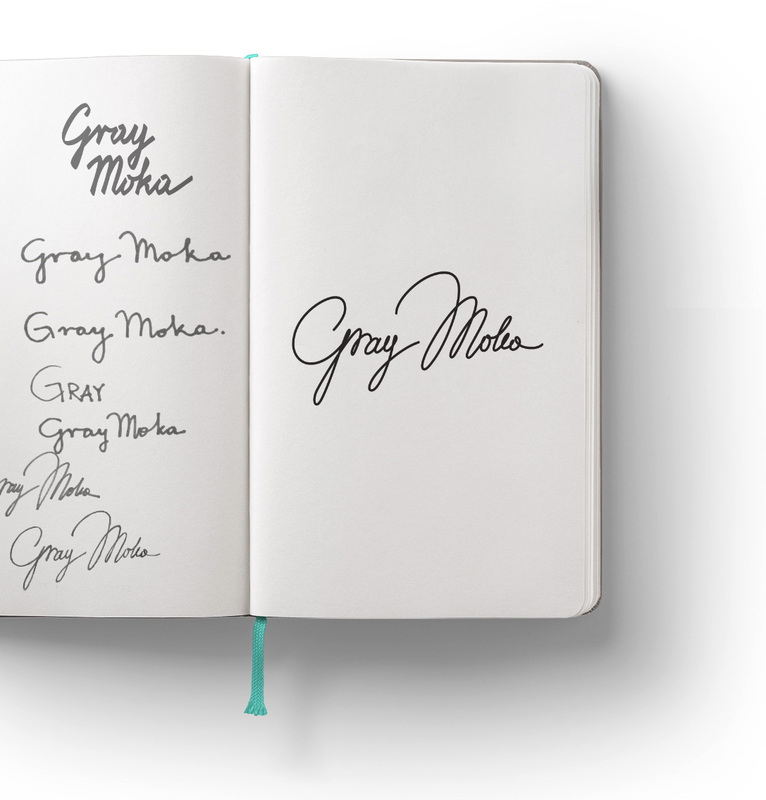 The online store for Gray Moka was developed around an off-the-shelf e-commerce solution, shoper.pl. 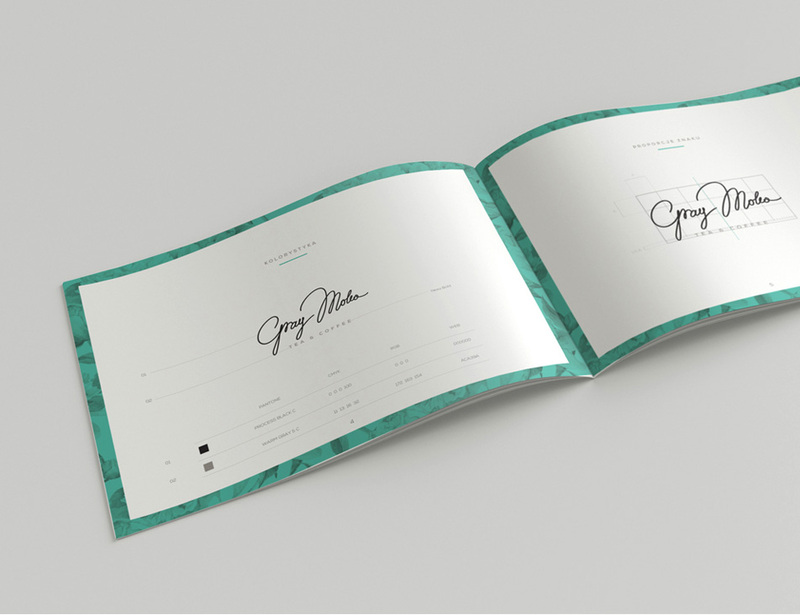 We developed mockups that would make full use of its features, and then moved on to finalize designs for key subpages and compile a separate file including the most important components of the so-called style guide. We focused primarily on designing the main page, individual product sites, and the cart view. These three moments are decisive in the purchase process—you can use them to encourage the customer to complete the purchase, but when implemented poorly they can give him reason enough to leave. We don’t know about you, but we’re parched, so we’re off to brew us a pot of delicious, freshly ground coffee.